The 9th International Conference on Tourism and Hospitality between China and Spain (ICT2019) will be held in the most colorful and charming Mediterranean city - Barcelona, Sept. 30 － Oct. 2, 2019. The dates are chosen to connect to the Chinese National day golden week. We expect to have a large participation from both industrial and academic areas to the conference. Our host is the Autonomous University of Barcelona, one of the three biggest universities in Barcelona. Barcelona is the cosmopolitan capital of Spain’s Catalonia region, it is best known for its art and architecture. The fantastical Sagrada Família church and other modernist landmarks designed by Antoni Gaudí dot the city. Museum of Picasso and Foundation of Joan Miró feature modern art by their namesakes. Other “must see” places include the street La Rambla starting from la Plaza de Catalunya, the magic fountain of Montjuïc, the home of Barcelona football team Camp Nou, … just to name a few. Call for papers All original paper contributions that may help in the mutual understanding of China-Spain, Asian-Western tourism and hospitality research and development are welcome to submit to the conference. All the papers should be in English. The paper topics can be found in our call for papers page. You can download the English call for papers in English， Spanish and Chinese: English call for papers Spanish call for papers Chinese Call for papers. The working language of the conference will be in English. The contact email of the conference is ict2019@ china-spain.org for general equiries and ict2019-1 @ easychair.org for paper submission issues. Chinese participants can use ict2019@ qq.com to contact the organization team. Organizers The conference is organized jointly by the cooperation of the Autonomous University of Barcelona, South China University of Technology, and the University of Balearic Islands in Spain. 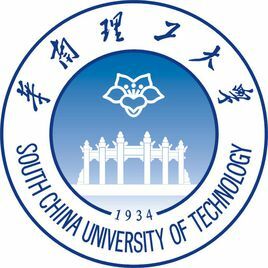 The Chinese organizer and promoter is the South China University of Technology. As an established structure of the conference, the main conference responsible coordinator and global organizer is the Tourism Faculty, University of Balearic Islands, Spain.